Due to the weak US statistics, Yen is gaining momentum. This pair will be under the influence of BoJ and the Fed’s meeting the next week The support rests at 101.780 with resistance at 102.260 which both lines are below the weekly pivot point at 102.660. 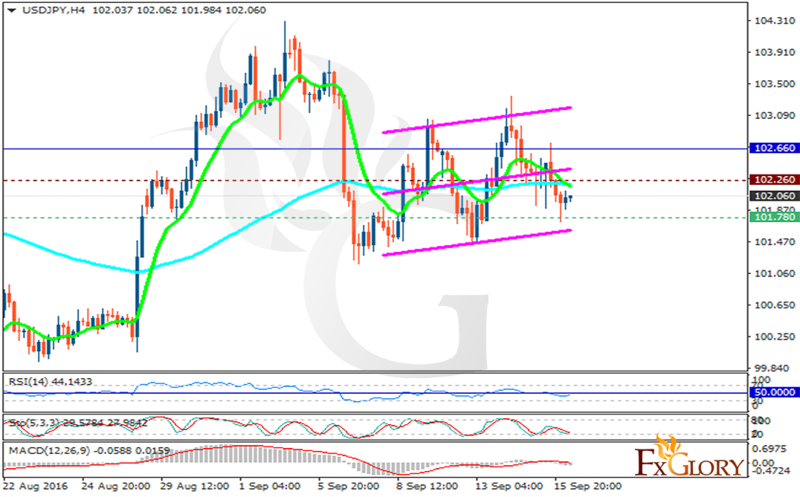 The EMA of 10 is moving with bearish bias and it is crossing the EMA of 100. The RSI is moving below the 50 level, the Stochastic is moving in its minimum rate and the MACD indicator is in neutral territory. Long positions are recommended targeting 102.50.